Widely known for its fine laminate countertops, Holstein, IA-based VT Industries is equally renown throughout North America for its architectural wood and laminate doors. 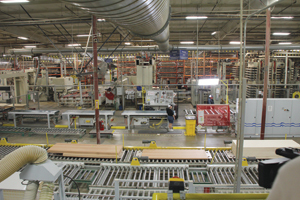 Although the division got its start in 1958 manufacturing laminate doors, approximately 60 to 70 percent of the company’s doors today are five-ply wood veneer products, followed by laminate and stile and rail. “Stile and rail volume in the industry is a lower overall mix of door products, but VT has the capability to produce these doors to meet a wide variety of specifications,” Farver says. There is no minimum order required on the doors. “VT’s operations are uniquely configured to handle the ‘live order’ demands of the architectural specification community. This means we can run a job of 2,000 doors through the factory, right along with a job that is two doors. No order is too small or too big if we are satisfying the needs of the our customers,” he adds. One way VT Industries distinguishes itself from competitors is in its “edge-before-face” manufacturing, which creates a seamless appearance. Used in VT’s Heritage Collection, this method of construction “locks in” the edges of the door. “Typically the face of the door receives a majority of the impact, so by applying the edge before the face, the face material is trimmed to the exact dimension of the width plus the thickness of the laminate edges, to reduce the face material from chipping or being damaged,” he adds. The architectural doors are manufactured in two of VT Industries’ nine facilities: Holstein, IA, and New Albany, IN. With approximately 342,000 square feet of manufacturing space, the Holstein facility specializes in the higher volume, traditional flush-style doors. The more custom, hand-crafted doors are made in the 175,000-square-foot New Albany facility. Lean manufacturing has helped reduce lead times down to two to three weeks on the standard door products. VT’s continuous improvement culture includes a CI team composed of a manager and four lean leaders to implement standards, deploy resources through value stream mapping and lead Kaizen events. From a recent Kaizen event in Holstein, for example, VT Industries was able to “drastically improve” its method for installing woodstops and glass in the doors by changing the process from batch to an in-line, one-piece flow. 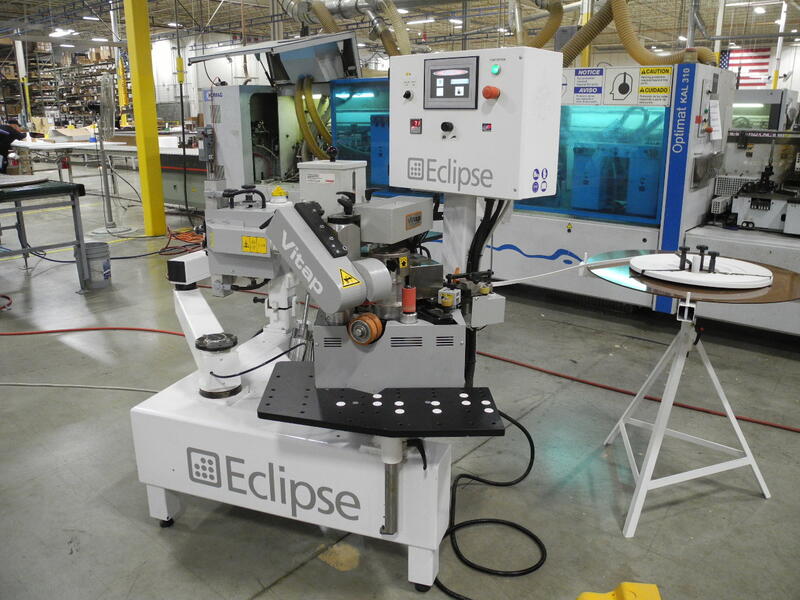 Not only has the sorting process been automated, but where two people once handled all processes for an entire door, now a line staffed by operators is focused on repeatable tasks (Standard Work), and the line paced to takt. (Takt = net available time for production/customer demand). Also soon, VT will be unveiling a new online tool to help users calculate the LEED credits available when specifying VT architectural wood doors. Used in installations throughout North America, the products are in compliance with California Air Resources Board (CARB) formaldehyde regulations. In addition, virtually all of VT’s Heritage Collection flush doors are GREENGUARD Indoor Air Quality Certified® and GREENGUARD Children & Schools CertifiedSM. VT Industries also offers a range of specialty products, including lead-lined, acoustical and fire-rated doors. “VT is constantly working on R&D projects to help us improve our breadth and depth of products. Over the past two years, VT has introduced 50 new STC ratings that are available online,” Farver says. “Along with the new STC ratings, VT has introduced powder-coated finishes, additional fire ratings and many more options in our Heritage and Artistry stile and rail collections. “New products and services on the horizon will center around continuing to make our online ordering process as easy as possible for customers, and continuing to develop our New Albany operations and product offering,” he adds.